This idea was taken from Mister Maker, which N and I were watching the other morning and decided to copy there and then. It’s a simple idea but a delightful one, and whilst ours was quite basic, this is something that can be taken as far as the limits of childrens creativity and enthusiasm! 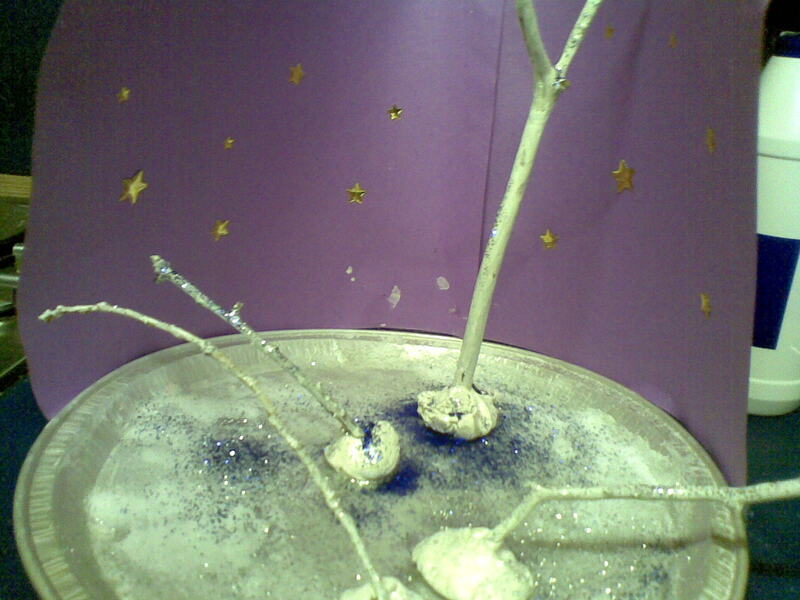 The basic idea is to create a wintery scene using sicks painted white and sprinkled with glitter. Mister maker stood his trees in airdrying clay before painting them. 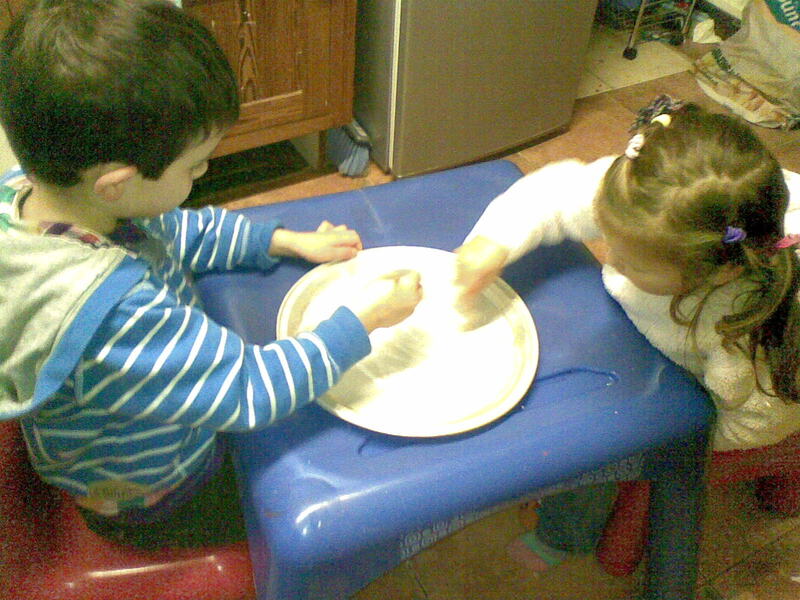 We made salt dough instead – using the basic “half:half:whole ratio of water:salt:flour. 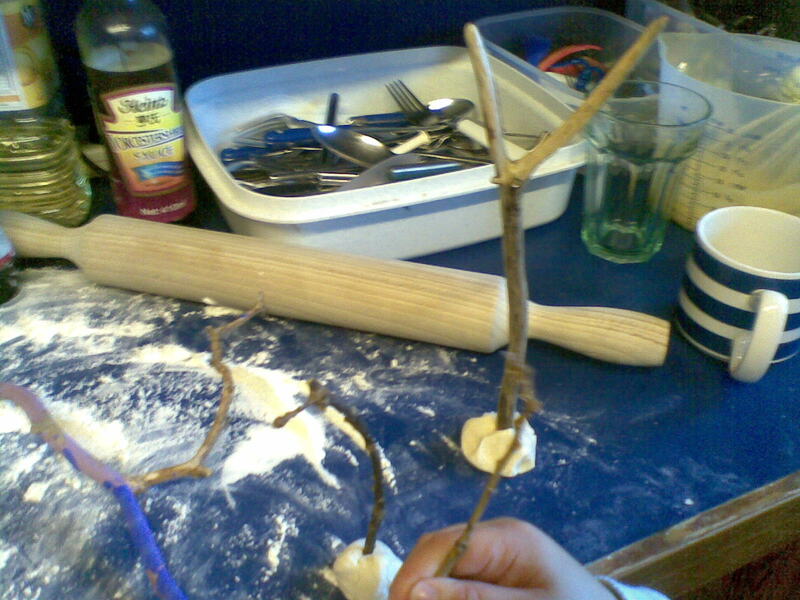 This meant we had to leave our sticks standing in the dough overnight while the dough dried, and even then had to speed up the process in the micropwave (I’m taking no responsibility for anyone who also decides to put sticks in the microwave – I watched them very closely!). 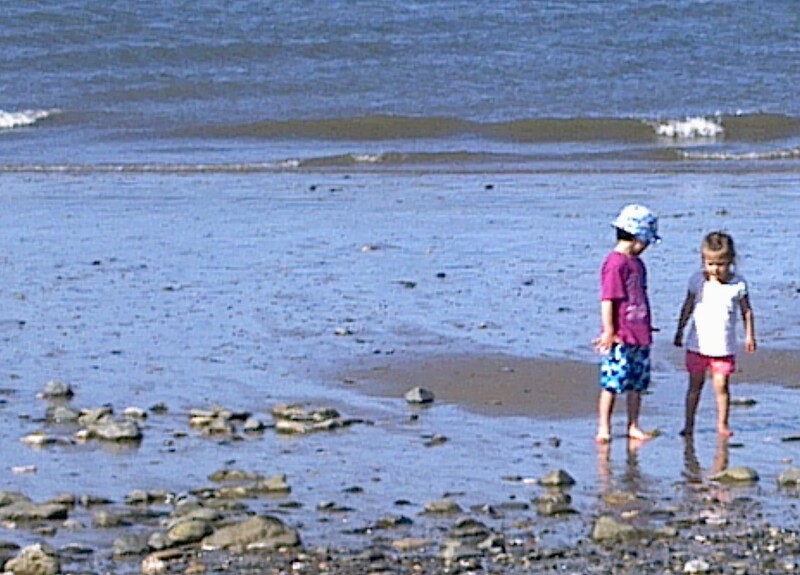 This entry was posted in Arts and Crafts, Imaginary Play, Seasons and tagged arts and crafts, small world play, winter landcape on November 24, 2012 by Kate Carre.